CPAP or Continuous Positive Airway Pressure is a treatment that uses mild air pressure to keep the breathing airways open. CPAP typically is used by people who have breathing problems, such as sleep apnea. The use of the CPAP mask however has common side effects such as blemishes, sores, redness, rashes, and often unsightly, and sometimes painful skin irritations. A large percentage of CPAP mask users will experience skin irritation whilst on the therapy and this frequently occurs around the bridge of the nose and where the mask comes into contact with the skin. A smaller percentage of CPAP users will find they are allergic to the materials in the mask skirt which can causes rashes, dermatitis, ulcers or what is sometimes called “burn”. CPAP users should clean the mask and face prior to applying the mask. CPAP users that are beginning to experience a rash will need to use a product to help treat the irritation but it is important to use a cream or gel that does not leave the skin greasy as this will mean the mask will not then adhere properly to the skin. In cases where the CPAP user is allergic to the materials or silicone in the mask skirt there are less treatment options available. 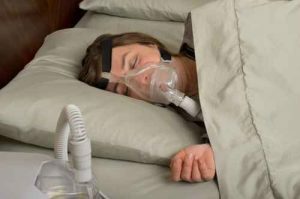 A cream or gel to treat the CPAP mask skin irritation is recommended but it may be advisable to try different types of masks to find one where the materials are less irritating. SKLEER All in One Skin Corrective contains Eucalyptus oil, a well-known anti-inflammatory that is perfect for irritated or inflamed skin and is therefore ideal for CPAP mask users suffering skin irritation. The combination of essential oils in SKLEER: Eucalyptus, Tea Tree, Caraway, Cinnamon and Cardamom work synergistically. The proprietary gel formula takes the potent essential oils deep into the skin to provide an excellent environment while the skin is healing. The therapeutic power see previous of SKLEER lies in the fact that the gel takes the natural ingredients to the lower levels of the skin for enhanced penetration and effectiveness. For irritated skin, the oil of eucalyptus is both anti-inflammatory and a natural antiseptic, it is also a highly effective soothing agent for the skin. Caraway oil neutralises the effects of histamine and as such can be very helpful in dissolving skin rashes. The SKLEER All in One Skin Corrective gel forms a protective layer on the skin to help lock moisture in and hence creates a perfect environment for healing. The formulation is non-greasy and as such it will not impede the fit of the CPAP mask to the skin. SKLEER contains no parabens, no harmful preservatives, no lanolin, no hydroquinone, no corticosteroids and is not tested on animals. The all natural formula is ideal for even the most sensitive of skins and all age groups. Simply apply SKLEER to your face around the area where the CPAP mask meets the skin and any other topical areas where you may be experiencing skin irritation before beginning the therapy. Repeat this process as often as needed to maintain soft skin and eliminate CPAP mask skin irritation and dry or cracking skin. We have testimonials from customers who have found relief from a variety of skin irritations as a result of using a CPAP mask. Our customers have found that SKLEER All in One Skin Corrective Gel can be a compliment to CPAP therapy as you can see in the testimonial below.